For some of my teammates, this will be the first year in many that they haven’t made the trip to Sarasota. For them, Club Nationals is an annual trip with its own rituals, its own environment, and its own scenes and culture, which they’ve come to love and expect. 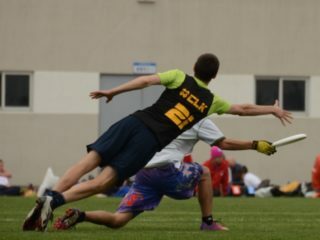 However, for most, Club Nationals is a rare, maybe even once-in-a-lifetime opportunity, a glimpse into the upper echelons of this sport we give so much towards, and it is to those of us striving to get onto this stage I write this glimpse into the great, wonderful, crazy experience that is Club Nationals. First, of course, is the joy and elation of earning your bid at Regionals. Champagne bottles popped, Sunday night partying and a rough but well-earned Monday hangover later and then boom, it’s back to work. Then comes booking your flights. You’ll want to get Wednesday off work, in addition to Thursday and Friday. This is especially true for west coast teams, as the time difference makes waking up for a 9am Thursday game feel like a 3am alarm. This can be so critical that Sockeye actually does what we call a “wake-up posse,” in which we wake up incrementally 15 minutes earlier each day for a couple weeks before nationals so that our bodies begin to get on Sarasota time, and do fun activities in the wee hours of the morning to keep it fun and bond in the waning moments of the season. So, you’ve taken Wednesday off. Then, you’re going to want to take Monday off, if you can swing it. The Sunday night Daiquiri Deck party is always legendary, as usually both the winners and losers of the finals head there to party (rarely do the winners NOT sport their gold medals while there). This always makes for some amazing interactions and lots and lots of partying. Also, lots of truth bombs get dropped amidst all the daiquiris. Well worth an extra day off. The 6am Monday morning flight is NOT recommended, however. So, you’ve got your flights taken care of. Now, accommodations. Most teams that go regularly stay on Siesta Key, somewhere on Beach Rd or Midnight Pass. This allows for easy beach access and it’s all on the same strip that heads to the Daiquiri Deck. This strip is where you will find most drunken Frisbee players wandering at 3am on Saturday night trying to figure out which condo resort is theirs. It’s like Zombieland. Frugality can outweigh staying here though for some teams, though, or for simply being closer to the fields (see Ring, Chain this year). Ok, so that’s flights- check; housing- check. Then comes packing. You’re going to need all the normal stuff you always bring, so what makes Sarasota different? Things to note include the potential for very, very hot temperatures and scorching sun. In the past couple of years, this has been a difference maker, so shade tents become essential, as well as coolers with ice. Some teams utilize ice chests with wet towels– very good idea. Sunscreen is obvious here. There isn’t a huge potential for much rain, but it can get very, very windy. 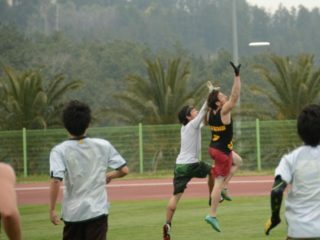 Pack extra spin on the disc if you can. Map of relevant locations and "fileds"
Now that you’re all set, next comes flying. Hopefully you’re with friends, and you have a car rental all set. When you land, no doubt you’ll see countless other Frisbee folks (very easily identifiable, with their backpacks and discs and, well, you’ll just know). Often they’re waiting for rental cars themselves and tossing discs in the airport. The drive from Tampa (most fly into Tampa, since it’s the cheapest route) is actually pretty cool, and you drive past the Sun Dome Stadium and a nice view over the water. Then you arrive at wherever you’re staying and the butterflies really start to set in, especially if this is your first trip. 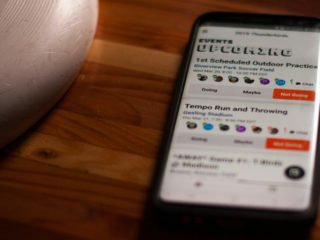 Many early-arrivals are coming from afar and are eager to hit the beach, so you’ll undoubtedly see many a pale player throwing, running around, and enjoying themselves, and for many it’s the first encounter with friends on other teams, so it’s a good time. Of course, there is the grocery run. That entire Wednesday is the calm before the storm, and everyone’s excited and nobody can sleep. Thursday morning is equally vivid. Some teammates have it on lock already, knowing they’ll be getting the ham quiche thing and a gigantic coffee from Panera on the way to the fields (Ray Illian), others playing it by ear. There’s always the debate about what music to listen to in that car ride, and of course you’ll be eyeing the surrounding cars in the last 5-10 minutes of the drive since 75% of them seem to be Frisbee players on their own way there. At this point, you hope you remembered your 2nd or 3rd pair of socks, because the fields are all dewy and wet and the walk to your fieldsite is never short. The misty morning, with footsteps quickly accumulating in the dew, is palpably ominous. Slowly boomboxes (seems like every team has one these days) begin sounding off in different corners of the fieldsite, the mist burns off, and players make their last port-a-potty trips before game time. All warmups are punctuated, of course, by the (longest ever) rendition of the national anthem, and then it’s on. After the first game you can always find any first-year nationals attendees in the gear tent, figuring out which nationals apparel they want to commemorate their trip, as well as checking the posters for the first round results across divisions. At the end of the day everyone goes their separate ways, now divided by the different roads their teams are on after Thursday’s results are tallied. Some teams lick their wounds and cook at home, others hit up the local restaurants, but everyone is still in the hunt. Friday starts like Thursday but ends much differently, and almost always with a great game in front of a packed crowd. Once the power pools and lower pools finish, the pre-quarters games are the main event, and they used to be directly in front of the beer garden (might still be, not sure this year), allowing for teams that are in consolation to enjoy themselves a bit and often heckle the slugfest. Last year, Furious and Ring provided a toe-to-toe battle in one of the more fan-appeasing games I’ve ever seen, like the game was a big middle-finger to DoG’s patient, conservative game, replete with massive hucks and 4+ turnover points. Add to that Matsuno, Ken Porter, and the physicality and fire of both teams and you get the idea. So, Friday ends. With the importance of strength bids battling the heavy sigh of being relegated to consolation games, most teams that don’t make quarters opt for team dinners and some good old bonding together on Friday night. 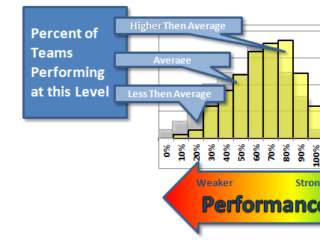 For those still chasing a title, it is back to ice baths, recovery drinks, strategy meetings, and early bed times. Saturday’s action is always top notch, with the focus squarely on the quarterfinals and semifinals. 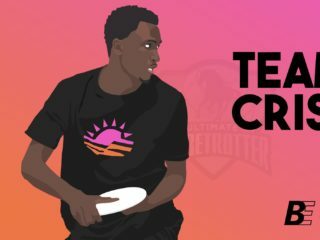 In a way, it’s too bad, because every year there are at least a few consolation games that are just great displays of high quality ultimate, but sadly they are by and large remembered only by the teams that share the game. As the games get played, the crowds only increase in size, and the semis have packed sidelines. This year should be interesting, with more coverage than ever, and hopefully this allows fans more and better access to the experience. Saturday night is always nuts, the final night of the current season for all but the finals-goers, and many teams actually dress up for Halloween and hit the town. This is the time you’ll be guaranteed to see players meandering around Siesta Key, often looking for something, either teammates or that girl they’re chasing or their condo or beach house. Then, the finals. The last couple of years have felt like a cruel joke, with the temperature and sun feeling like they’ve doubled their intensity and only adding to the hangovers that blanket the sidelines. Shade tents looked like clown cars and sunscreen was worth its weight in gold. Now if you were smart enough and fortunate enough to be able to take Monday off, the finals are a leisurely and fun way to spend Sunday. And, for any newcomers, it’s a great experience to get to watch the championship game — the plays seem bigger and the excitement is for real. I remember seeing Roger Crafts’ 2007 finals catch live and knowing that Rob’s Ultivillage footage of it doesn’t capture how athletic it was. Same with Bart’s catch against two Sockeye defenders. Amazing stuff. Seeing the finals is always worth it. As mentioned above, after the finals, the winners and losers part ways to revel in victory or wallow in defeat, only to meet again at the Daiquiri Deck a mere hours later. Many a drink is purchased for a friend, teammate, competitor, or fan, and each finds closure in their respective seasons in their own way, some more memorably than others, but always offering a good story for the Monday plane rides home. I hope this has at least been a fun read and a bit of a window into the Club nationals Experience — and, feel free to post your own story or memory from your own nationals experience in the comments. There are some real gems out there waiting to be told, and I only scratched the surface.